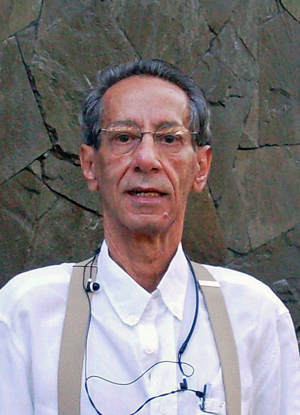 Luiz Carlos Dolabella Chagas was born on February 28, 1940, in Belo Horizonte-MG-Brazil. He graduated recently to the mansion worlds. Luiz was a civil engineer by education and an author and artist (a painter) by avocation. He was also a translator, the chief translator of the Portuguese translation of The Urantia Book. Luiz discovered The Urantia Book at our study group in São Paulo in 1996. We were reading El libro de Urantia, the Spanish translation of the book. The teachings of the book changed his life, and he decided to contact Urantia Foundation about translating it into Portuguese. From 1998 to 2006, he dedicated his life entirely to the translation project. In 2008 the Brazilian and the Portuguese readers were gifted with Luiz’s Portuguese translation―O Livro de Urântia. Luiz wrote a prayer book inspired by the teachings of The Urantia Book, and he wrote another book about the life and teachings of Jesus. Luiz hosted and participated in study groups in São Paulo and in Belo Horizonte. He lived and disseminated the teachings and did so with a rare good sense of humor.